Super Low Profile. Super Low Energy Consumption. Weighing in at less than 5 lbs., the powerful yet compact Delta BreezSlim G1 sets the bar for performance in the popular small fan size of 7.5" x 7.25" x 3.94". Operating at just 1.0 sone, this quiet fan features Delta’s super reliable DC brushless motor, an LED indicator light so you know it’s running, and a modern grille design. Available in contractor packs. 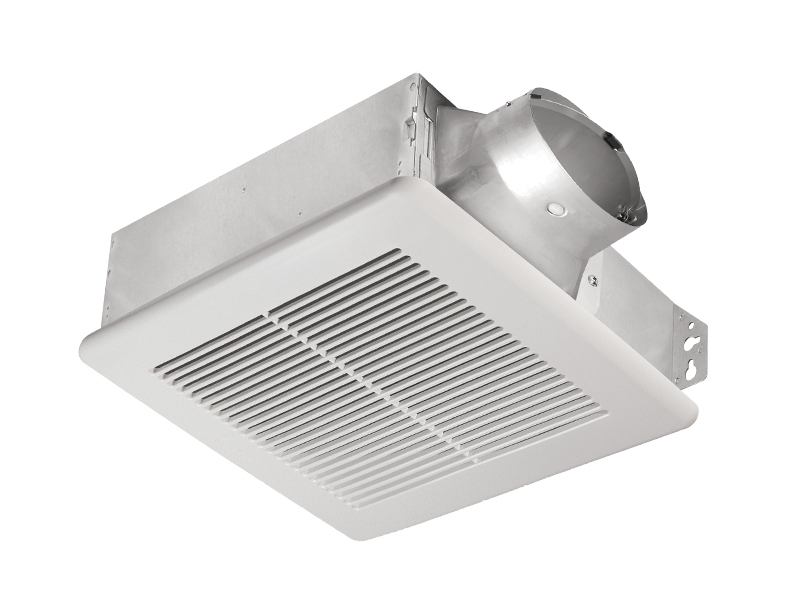 BreezSlim G2 (SLM80 and SLM100 models) offer a 4” metal oval duct adapter with a 4-3” plastic round duct adapter. 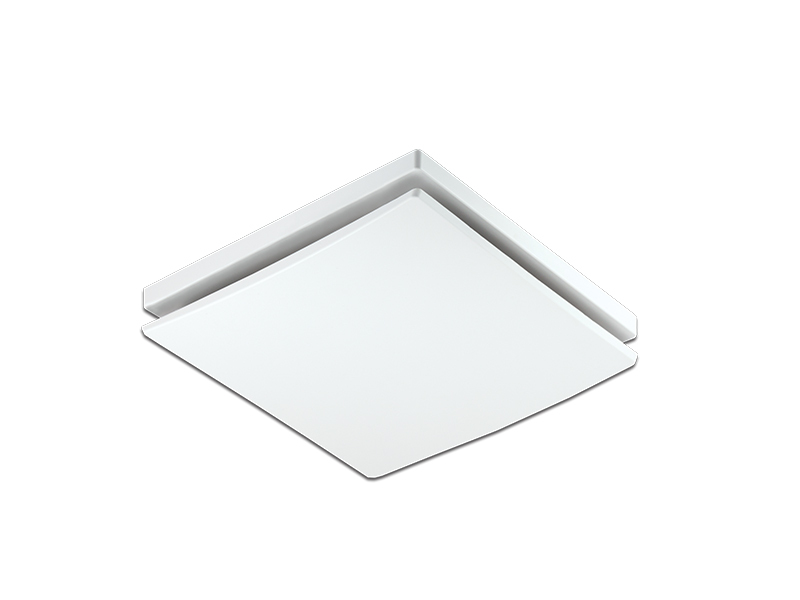 Perfect for retrofit into an existing space for ceiling mount or wall mount installation (UL listed for both) into your next multifamily or single-family project. 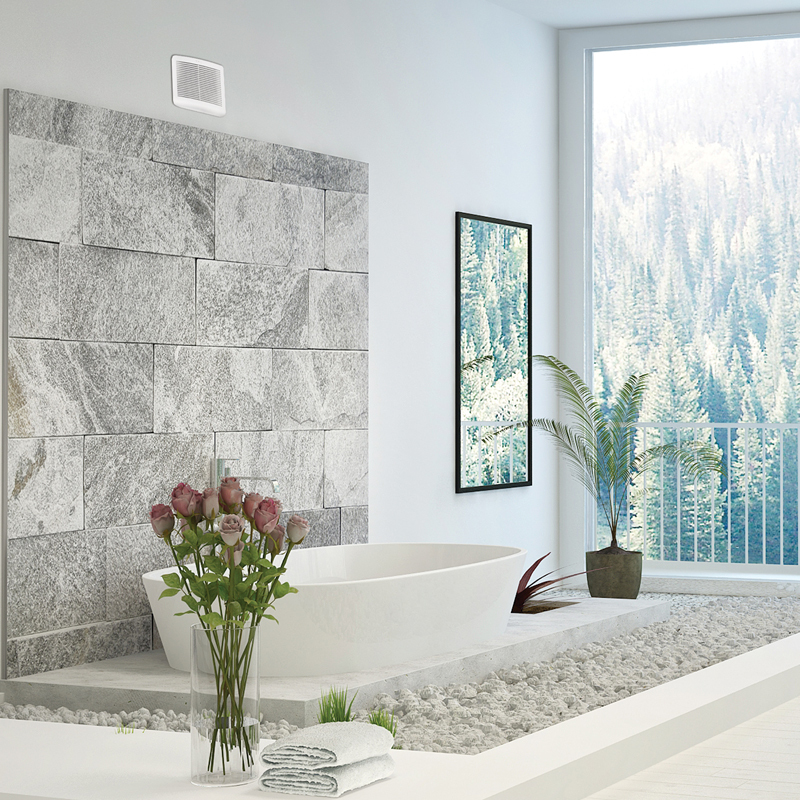 BreezSlim breaks the mold of the everyday bathroom exhaust fan. Innovative DC brushless motor design for long life, low noise, and low power consumption.